We have 2 Board Certified Allergists, available from 7:30 am until 7 pm and weekend hours. Based on our surveys, 99% of our patients are very satisfied with their office encounter. We are chosen as Top Doctors by our medical colleagues, but our greatest referral source is satisfied patients. If you are suffering from seasonal allergies, call now for an appointment! We are always accepting new patient appointments; you are welcome here. Allergies and asthma affect millions of lives. But they can be managed effectively. Allergy Consultants, P.A. is one of Northern New Jersey’s premier medical practices for the treatment of allergies, asthma, sinus disease and immune system disorders. Trust your treatment to the best asthma and allergy specialists you can find and that is us. Our renowned “Sneeze Doctors” – Arthur F. Fost, MD and David A. Fost, MD are Board Certified by the American Board of Allergy and Immunology. Cited multiple times as “Top Doctors” in the NJ /NY Metropolitan area, the asthma and allergy specialists at Allergy Consultants are well known for the compassion, care and concern they show to every one of their patients. You will always be treated with respect and dignity by our doctors and our entire staff. 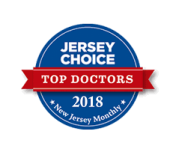 Dr. Arthur Fost has been VOTED IN as a Jersey Choice New Jersey "Top Doctor" for 2018. He was in the NOVEMBER 2018 issue of NJ Monthly. .........any many years prior as well ! NJ Monthly Top Doctors features doctors that have been voted in by their peers as the best in their specialties by JERSEY CHOICE TOP DOCS. Inside Jersey Top Doctors features doctors that have been voted in by their peers as the best in their specialties by CASTLE CONNOLLY TOP DOCS. and 2014, 2013, 2012, 2011, 2010......any many many years prior as well. 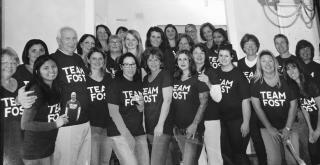 Dr. Arthur Fost has been a CASTLE CONNOLLY Top Doctor every year since 1998. Dr. David Fost has been a CASTLE CONNOLLY Top Doctor every year since 2010. They were both honored in the fall 2018 issue of Inside Jersey Top Doctors magazine. The confidence that their peers have in them is surely taken to heart by our doctors. They were both featured in the list of phsicians that have been VOTED IN by their peers 5 years in a row or longer. Dr. Arthur Fost and Dr. David Fost were VOTED IN as NJ Family's 2018 Favorite Kids' Docs !! That issue was out in December 2018. Dr. David Fost was again selected as one of Montclair Magazine's Top Doctors and he was recognized in a special section appearing in the Back-to-School edition of their magazine. Convenient Verona and Sparta locations. We look forward to seeing our Belleville patients in the Verona and Sparta offices where you will see Dr. Arthur F. Fost, Dr. David A. Fost and Anthony J. Piccolo, PA-C.
Allergy Consultants, P.A. has two state-of-the-art offices located in Verona and Sparta, each with the most advanced diagnostic equipment and treatment plans for adult and pediatric patients. We stay current with the latest medical advances and are currently involved in a number of nationwide studies to develop new allergy and asthma treatments. Our doctors attend the Mt. Sinai Food Allergy programs to stay abreast of all food allergy news and research. They also attend programs at the Jaffe Food Allergy Institute. Nondiscrimination in Health Programs and Activities, implementing Section 1557 of the Affordable Care Act: Posted details about this very important OCR provision are in the Patient Resources section of our website. You can find a copy of this notice in our office waiting rooms. Harsh winter, now we're in for a HARSH ALLERGY SEASON. Don’t let an allergy or asthma problem affect your quality of life or the life of your child. Contact the Sneeze Doctors. We’ll make every effort to get you into our offices quickly – usually the same day. Dr. Arthur Fost, Dr. Satya Narisety and Certified Medical Assistant Jessica attended the 6 th Annual Patch Test Workshop in Tempe, AZ over the weekend of January 13, 2017. It was presented by the Contact Dermatitis Institute. Course Directors were Joseph F. Fowler, Jr., MD and Curt Hamann, MD. We take our patients' skin conditions very seriously and endeavor to be on the cutting edge of treatment protocols for irritant and contact dermatitis. We are very proud of our patient Bryan Mendelson who recently completed the Ironman in spite of his exercise induced asthma and allergies. The Ironman consists of 2.4 mile swim, a 112 mile cycling segment and a 26.2 mile run. We tell all our allergy and asthma patients to be as active as can be. Bryan is an inspiration. If you're among the many millions of dog owners in the Unted States, You're probably more active than most people without a canine companion at home. But that's just one of the heart-protecting benefits dog owners enjoy, says Dr. Elizabeth Frates, director of wellness programming at Harvard affiliated Spaulding Rehabilitation Hospital. "A dog provides love, companionship, and a sense of purpose that propels you to get outside walking every day", says Dr. Frates. Daily exercise is probably the most tangible benefit of dog ownership, she notes. Current exercise guidelines recommend that adults get at least 150 minutes of moderate to vigorous physical exercise each week and most dog owners (87%) in a recent study met those guidelines versus 47% of non-owners. Check the study out at www.health.harvard.edu/DOG. Many people report that they cannot take penicillin but in fact only a very small percent of the population are truly allergic. If you tell the doctor that you cannot take penicillin, and need an antibiotic, then you will get a more expensive and potentially more toxic medication. We have a safe test to determine if you are truly allergic to penicillin. Ask! Dr. Arthur Fost, Dr. David Fost and Dr. Antonio de la Cruz have been voted in as New Jersey's Favorite Kids' Docs in the 2017 New Jersey Family magazine campaign! Thank you for voting for us !! Drug Studies. We conduct many studies on new treatments for allergies and asthma. These studies are important in developing new medications, and proving safety of existing medications. Patients who participate in these studies are carefully monitored, and get all medications supplied, and are reimbursed for their time. The instructional video below will clearly show you how to use your rinse kit. Asthma is the most common chronic illness and is responsible for 2.1 million emergency room visits annually. But according to a study presented at the Annual Scientific Meeting of the American College of Allergy, Asthma and Immunology (ACAAI), these costly visits can be reduced by 55 percent when inhalers contain a simple dose counter. Dose counters on rescue inhalers display the amount of medication remaining in the device, but are not standard for all meter dose inhalers. An asthma study conducted by the chair of the Public Education Committee of the ACAAI (American College of Asthma Allergy & Immunology) reports asthma related emergency room visits are estimated to be 55 percent lower in people with asthma who use dose counting inhalers than in those who use inhalers without dose counters. Dose counters help patients know if they are getting enough medication and warn if the inhaler is nearing empty, both of which can help reduce asthma attacks. Dr. Michael Foggs of Chicago, the ACAAI president-elect reports in this article posted November 12, 2013 that "While dose counters can help reduce the number of asthma related emergency department visits annually, this alone is not enough." "Research has shown that effective asthma treatment includes regular care by an allergist who can closely monitor the disease, help identify and avoid asthma triggers, and develop an emergency plan for severe attacks." 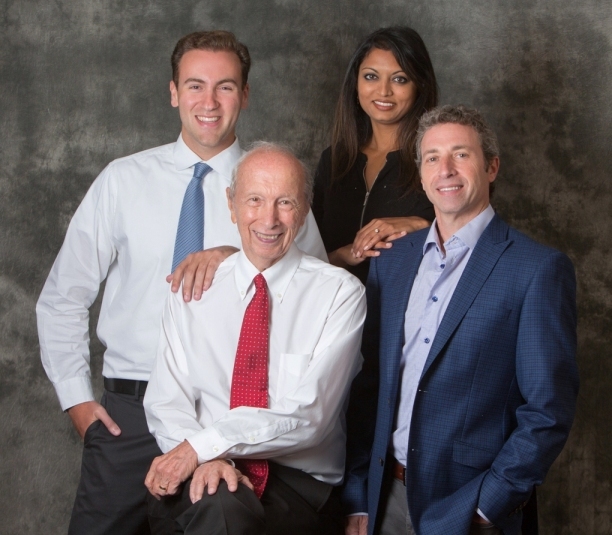 All of the four physicians at Allergy Consultants, P.A. are board certified in Allergy and Immunology and regularly attend the ACAAI conferences. The winter's cold and windy climate can trigger asthma attacks. Our allergists advise asthmatics always carry and use prescribed inhalers. Our amazing patient PAULA DICKSON TAYLOR has exercise induced asthma and competes in National and International track meets. She recently medaled in the World Games in the over 60 age group in the 100, 200 and 400 meter dashes. Overall she finished in third place. Very impressive! 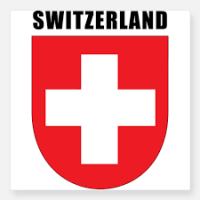 One of our patients was recently transferred to Switzerland due to his job. He will be there for about 2 years. 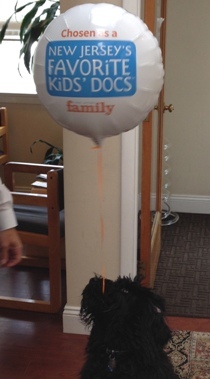 He is in the process of receiving allergy immunotherapy in our office and is progressing beautifully. He was disappointed that he could not continue this allergy desensitization process here with us. Have no fear ... Libby RN is here ... and she arranged for the delivery of his allergy serums to his medical facility in Switzerland. He can continue his allergy shots there with our mixes until they need to be remade. They were very impressed with the doctors' desensitization protocols and high standards. Thank you nurse Libby for going the "extra mile" for our dear I.T. 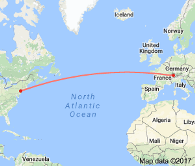 patient (3,936 miles to be exact) ! Please bring in your child's school forms and we will get them filled out ASAP; we're glad to help and we want your children safe at home and in the school setting. Our forms are very thorough and free of charge but if you need the school's forms filled out, there is a $ 15.00 fee. You must provide your child's current weight (mandatory) when you drop off the forms and whether they can self-administer the medication(s). Thank you! Flu shot and egg allergy. New guidelines support giving the flu shot to all patients, including those allergic to eggs. We do this carefully in measured doses to insure safety. Treatment for Asthma and Chronic Idiopathic Urticaria: We now have over 70 patients receiving Omalizumab (Xolair) for management of severe asthma and chronic idiopathic urticaria. Ask us about this remarkable medicine. Dr. Antonio A. de la Cruz has retired from Allergy Consultants, P.A. His kind and compassionate heart will be sorely missed by his colleagues, staff and his patients! Have a blessed retirement, "Dr. D.", we will miss you! 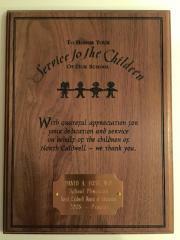 David A. Fost, MD is the school physician for the North Caldwell Public School system and was honored with a commemorative plaque on Tuesday, May 24, 2016 by the school Board at their evening meeting. He continues to serve in this capacity since 2008 and is pleased to do so. The students of the Gould and Grandview schools were also honored for their fund-raising successes as reported by their student council members. Civic duty starts early and the children are already learning how hard work and sacrifices can make a big impact in the lives of others. Congratulations to our Dr. Dave and the students (our future leaders) for their dedication! Pictured with Dr. David Fost are the Gould and Grandview school nurses Pat Keenan and Mary Ann Nazaretta respectively. The Chronic Urticaria Quality of Life Questionnaire is an instrument that was specifically developed to assess quality of life in patients with CIU (Chronic Idiopathic Urticaria). It is a self-administered 23-item questionnaire where patients have to indicate, on a Likert scale with multiple options (1: NOT AT ALL; 5: VERY MUCH), how much they have been troubled by each problem, with higher scores indicating worse quality of life. This form is now part of your Xolair approval packet and we will have you fill this out typically 3 - 4 times a year. This lets your doctor know exactly how you are feeling both physically and mentally. "The Price of Poor Communication"
An article in the Wall Street Journal reported that patients often don't understand or retain what the doctors say. This survey shows that 80% of what doctors tell patients is forgotten as soon as they leave the office and 50% of what is recalled by patients is incorrect. Physicians trained in communication skills improve patients' adherence to their regimens by 12%. That is why you will walk out of our office with a clinical summary each and every time after your visit with us. Your "plan" will provide clear instructions on how and when to take your medications. Milwaukee, WI – An article published this week 5/20/2016 in The Journal of Allergy and Clinical Immunology (JACI) shows that many caregivers, like parents, may not fully understand their providers’ instructions when it comes to keeping their children’s asthma under control. Overall, only 72% of parents knew which class of controller medicine their provider prescribed and about half of the parents knew neither the medicine class nor frequency it was supposed to be given. Here at Allergy Consultants, P.A., you will receive a written clinical summary / instruction sheet immediately after your visit that will clearly indicate which asthma controller your child should use, under which circumstances and how often. Always query your provider in the exam room so that all of your questions are answered. Your complete understanding of your child's visit is very important to us.